Soliciting suggestions from the public on the makings of greatness. A percentage for your thoughts? 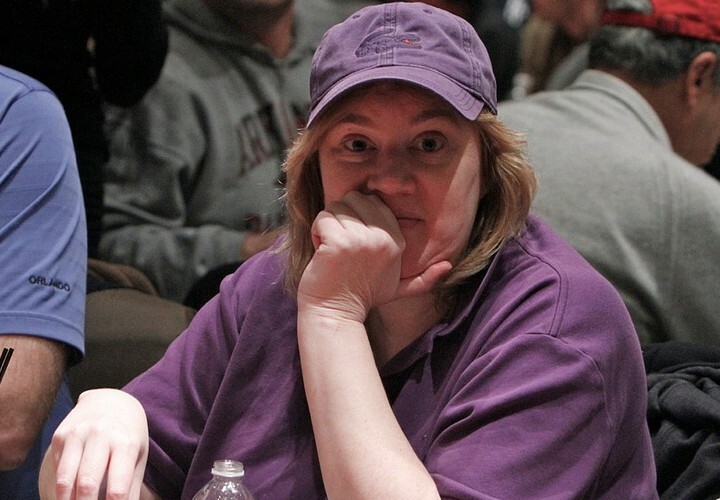 Poker pro Kathy Liebert, the one with the purple pouch, wants to know what you know and in exchange she’s willing to freeroll a lucky someone this coming summer at the WSOP. So if you have a good answer, get one it. Reply to the PokerKat and next thing you know you might be receiving some free money for your solicited advice. So you couldn’t be bothered to watch a full episode of PokerStars' Shark Cage. We don’t blame you, time is precious, right? That’s why you literally run to the restroom in between hands. Look, even if your busy lifestyle couldn’t afford the time before, PokerStars has stripped out the best hand of the entire series for you. “Rappin” Ronnie Bardah, the current record holder for consecutive cashes in the WSOP Main Event, gets intertwined in a hand with the charming Sara Chafak who also happens to be Miss Finland 2012. You know how this is going to go down, but its still very satisfying to watch as Ronnie – the consummate pro – gets taken for a ride by the piercing eyes of everyone’s favorite new poker player. Check out the view from poker pro Jason Koon's seat in a high stakes game taking place at the Wynn in Macau. Jason’s seat is all locked up and he’s loaded with each of those beige 100,000 HKD tiles converting (according to xe.com) to $12,900 USD. So, that also makes each of those 10,000 HKD chips is worth $1,290 and so on. From a quick eyeballing of the chip it looks like Koon is sitting with no less than $160K in front of him and he’s ready to put those chips to work. That’s a lot of protein shakes. The penultimate heat of PokerStars' made-for-tv million dollar tournament features one of the most eclectic lineups thus far. Watch as Eugene Katchalov, “Rappin’” Ronnie Bardah, Kara Scott, Miss Finland 2012 Sara Chafak and Jean Robert Bellande all try to send the 65-year old qualifier (and each other) to the cage and the rail in their quest to win it all. So, check in to make sure no one is watching so that you can check out the latest episode of Shark Cage. 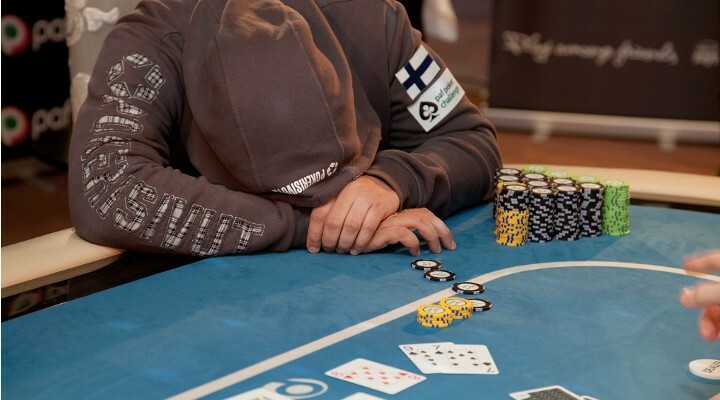 Post-flop play is very often an examination of hand ranges and how to make the most out of what you think your opponent holds and what you think he thinks you hold. Right? No? Whatever. We’re no experts in strategy but we know who is….the silver tongued partypoker professor: Josef Rantamaki. Sure, he may lull you to sleep with his Velvetta voice but he also breaks down concepts into easily digestible wafers. So, have a sip of caffeine and press play on the latest video that aims to take your game to the next level. If you’re some kind of pro or something then use this as a refresher course on conventional wisdom so you can play a counter-strike style! Check out who got nominated and who got snubbed! It’s award season and that means it’s time once again for you to cast your vote in the Bluff Magazine Reader’s Choice Awards! 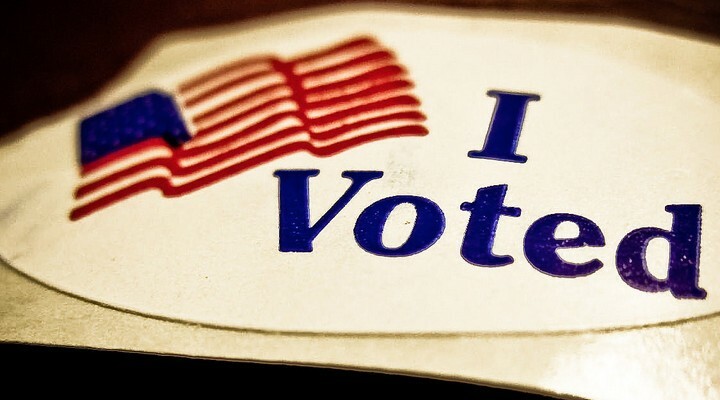 Voting is more than a right, it’s a privilege and should you neglect to hit the poker polls you will have no room to complain about the winners. If you do vote though, you can complain a bunch and we all know that poker players love to complain. They don’t appear to want your coveted information so there’s no harm in participating. Just DO IT. With every award ceremony the best part is not the nominees, but the SNUBS and we’re ready to give the needle to a few of those who got passed over by the Bluff RCA’s. Best On The Felt Story SNUB – Jose Canseco's finger falls off at the poker table. Yea, it was a hoax and he’s an Ahole for lying about it but it was a story we’re going to call it a stub…er, snub. Best Off The Felt Story SNUB – Daniel Colman calls Phil Hellmuth a bunch of nasty names on a forum. People loved this drama. Favorite Broadcast Crew SNUB – David Tuchman (solo) on the WSOP Live Stream. No jokes, he was great. Breakout Performer SNUB – Aaron Massey. This guy has all but locked up the HPT POY. Favorite Male Poker Player SNUB – Phil Laak, obv. He’s the best. Favorite Female Poker Player SNUB – Danielle Andersen. Former UP Pro would run away with this category if those hits on Me vs. U were any indication. Were there other snubs that we missed? Tweet at us! Panka (left) was reportedly signed by PokerStars, McClean (right) is grinding the circuit. In any given year the European Poker Tour with play the role of starmaker. A young, previously unknown player, makes a run and captures the attention of the viewers of EPT Live. In 2013, it was the yellow hoodie clad Leo McClean as the underdog online qualifier who ran deep in his hometown during EPT London. In 2014, if you recall, it was Polish player Dominik Panka, winner of the 2014 PCA who followed that up with a victory in the EPT Deauville High Roller for a one month total of about $1.8M in earnings. 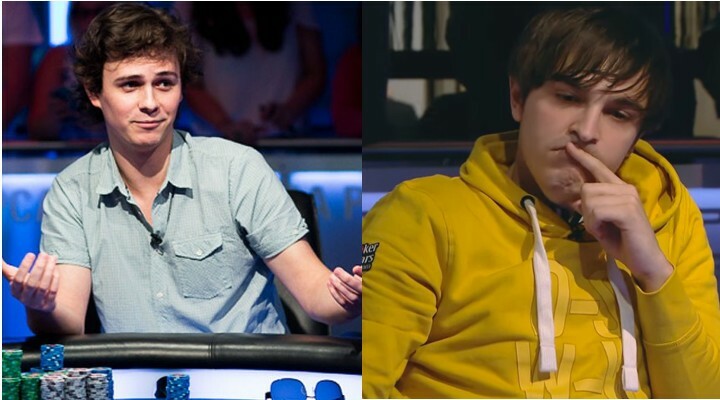 These two young players may have seemingly started down the same path with huge scores, but here at the end of 2014 we find the pair in very different places in their poker career. First up, PokerNews talks with Dominik Panka and, apparently, he’s now on Team PokerStars. Additionally, unlike some people Panka enjoys the media attention so much, he’d actually like to join the poker media at some point. Then, CalvinAyre grabs a few minutes with Leo McClean. After quitting his job Leo has hit the circuit and finds out that living out of a suitcase and busting tournaments for a living is hard work. While he doesn’t have a sponsorship just yet, he does still get backing to mitigate some losses while he learns the tough lessons of being a poker pro. Both good reads for aspiring pros and poker fans alike. Poker professional, author, coach and runner of marathons, Jonathan Little made a keen observation while at his seat at the World Poker Tour National Prague tournament today. While checking out his his chipstack he noticed something he’d never seen before. This is the first time i have ever seen a chip say “5k”. The WPT branded chips decided to abbreviate their 5000 denomination chip and simply go with “5K”. Maybe WPT officials thought it was a generally accepted term (totally understandable) or maybe it was a miscommunication at the time of ordering as officials could have rattled off the abbreviation assuming the chipmaker knew what they meant. We envision WPT President Adam Pliska on the phone placing the order…“Gimme some 500’s, a few 1000’s and a bunch of those 5K’s.” The birth of the abbreviated poker chip. Over $2700 pledged thus far. Last week we brought you a post about iGaming Journalist Marco Valerio who began to gather minuscule Ultimate Poker reimbursement checks in an effort to give a little something to charity. That small idea has now snowballed into a full fledged holiday donation campaign. Valerio has updated his blog to mention that not only are people donating checks but others donations are pouring in as well and thus far he has $2741 in pledged donations and has collected $1666 of those funds. 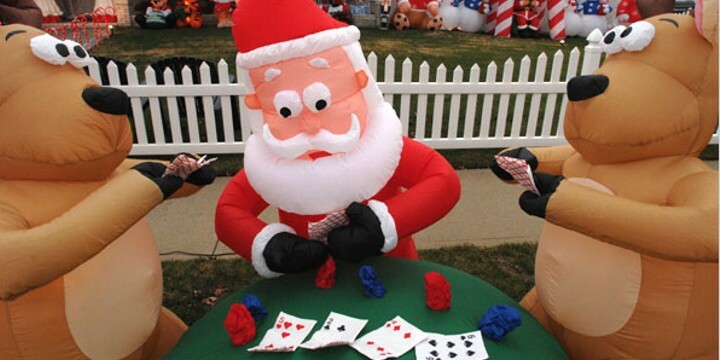 Since his first post, Valerio has taken a little time to get to know Billy Vogel – who as you may remember also does a holiday season toy donation backed by the goodwill of poker players – and the two are going to team up in part. Additionally, Marco is planning on supporting a charity in Las Vegas as well, using the power of poker good to support those in states where online poker is currently legal. If you want to get involved, and we hope you do, check out Marco’s blog and follow the PayPal instruction. As Marco has already proved, a little goes a long way. Check out the recently released, very well reviewed English version of “Nosebleed”, the full-length documentary that follows the high stakes action of Alex “Alexonmoon” Luneau and Sebastien “Seb86” Sabic and their dream of winning a bracelet at the World Series of Poker. Alexandre Luneau and Sebastien Sabic have been playing the biggest online cash games since 2009. They’re young, French, up millions of dollars, and internationally recognized as truly elite players in every Poker variant from NLHE, to 2-7 Lowball and mixed games. But, this past summer they tried to achieve a different dream: to win a bracelet at the World Series of Poker in Las Vegas. We followed them for 7 weeks of tournaments, hope, frustration and above all, passion. CardRunners instructor wants you to face your fears. 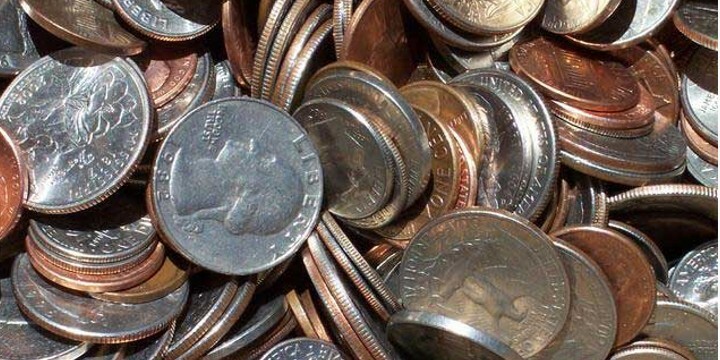 You’ve got patience, you have determination…but do you have the guts it takes to maximize your profits? Poker coach and CardRunners instructor Carwin Cole takes to ParadisePost.com to tell a tale of a hand that makes the nuts on the turn and still fails to capitalize on making the most amount of money when the flush card comes. Carwin urges our hero to make the most money you can when you have the goods, even when the worst card in the desk slams the river. He wants you to always be thinking in ranges and likelihood, not unlikely hypotheticals. To maximize profits and minimize losses, you must always consider exactly what your opponents might have, not just what they could hypothetically hold in your best-case or worst-case scenarios. Patience and discipline are two hallmarks of excellent poker players. 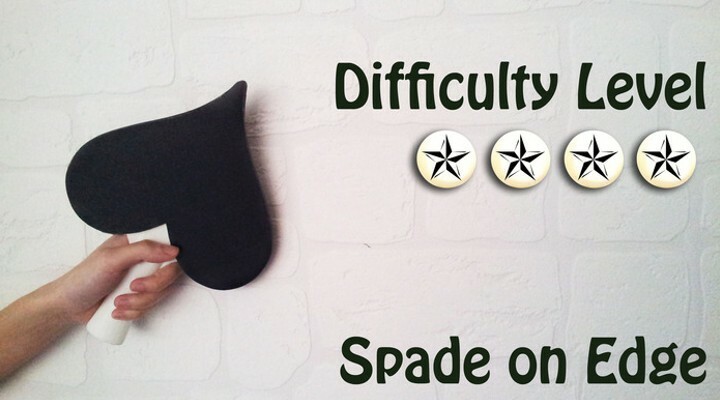 With the ability to remain objective and thorough, even when faced with scary uncertainties, one can master the art of navigating difficult situations and high-pressure decisions. So, if you find yourself simply “happy with the pot” you may want to take a look at this short post that exposes a leak that may players have. Now these guys are looking for a little funding and, frankly, they’ve been running bad up through this point. With about 2 weeks left in their campaign, they have next to no donations. Of course, if you want to chance to change that you can go to their Kickstarter campaign and pick up the set of 4 for about $100 (a little more). Or you can just shake your head. Bonus: Swedish poker players, including Viktor Blom, choose ping pong over poker. Dave, who seemingly is a fan of the film, jumped right into it with Norton. Here’s a transcript and the full clip is at the end of the post. Nolan Dalla goes ballistic over Dan Colman. Not terribly long ago we brought you a video courtesy of the Poker Night In America that saw creative director Nolan Dalla lose his **** over the words and actions of one of the F5poker Top Poker Personalities, Daniel Colman. Well, finally the full episode has hit the internet. While the rant itself is the same, now you can watch all the cash game action from that same episode. Danielle Andersen, Lauren Billings and David “ODB” Baker headline the Reno cast in this episode’s made-for-tv cash game. Looking for more PNIA? Check out episodes 18 & 19 right here. 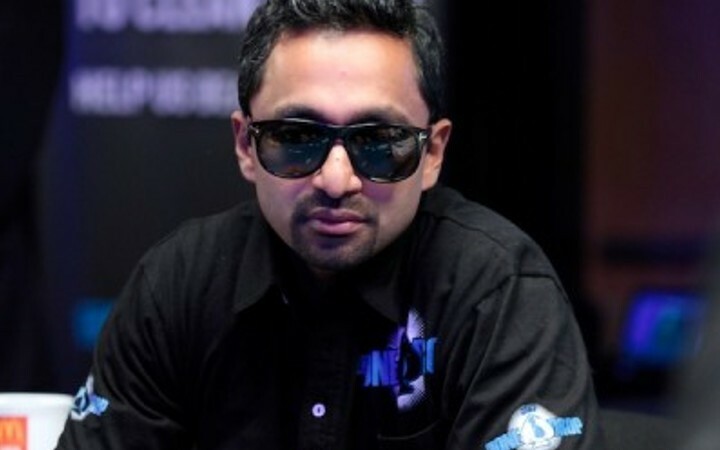 Chamath Palihapitiya plays in the One Drop. One of the biggest poker games in the Bay Area of California won’t be spread at Bay 101 or the M8trix in San Jose. It can be found in the home of big-time Silicon Valley venture capitalist (and former Facebook VP) Chamath Palihapitiya, the guy who was gifted a WSOP bracelet, and features some of the most influential names in start-up culture. Also, 13-time bracelet winner Phil Hellmuth. Business Insider takes a look at the hi-tech home game in the heart of Palo Alto where some of the wealthiest businessmen on the left coast gather not to talk shop but to play poker. The guest list reads like a who’s who of Silicon Valley’s true elites: from Yammer founder David Sacks, SurveyMonkey’s Dave Goldberg and Inside.com’s Jason Calacanis to professional athletes and poker players, including the World Series of Poker champion Phil Hellmuth. The fact is, while these guys do play for money – they have a ton of cash already so it’s not about the chump change on the table. It’s about the rush of competition and seeing if you can be the best against a table full of financial sharks. So, just how good are these guys? In fact, according to Hellmuth, a 13-time world champion in Texas Hold’em, the skill level is so high that he was only able to hit break-even in the first three years he played there. “In general, great businessmen are great poker players. There’s a reason these guys made so much money in the real world. Those skills translate to poker,” Hellmuth tells us. So why poker? According to Palihapitiya, the skills used in poker are directly applicable to those needed to run a startup. In the wake of (Victoria Coren Mitchell* resigning her post as a Team PokerStars Pro, due to the fact that they are getting into the casino business, some other sponsored pros were forced to come to grips with how they felt about representing a company that went from solely poker to offering all of the casino games. 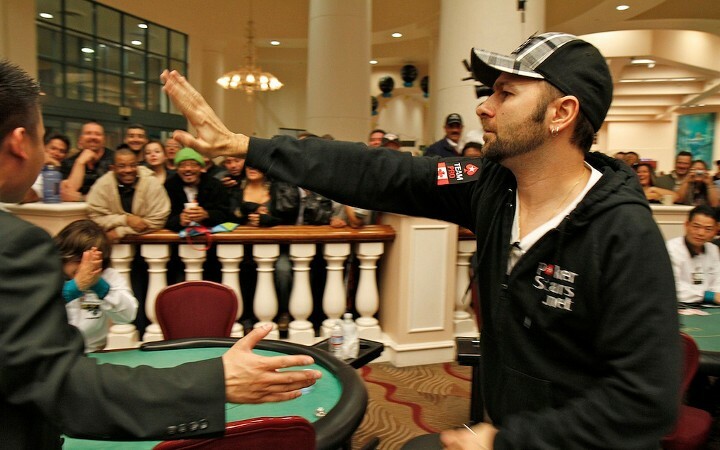 One such pro is the face of PokerStars – Daniel Negreanu. As far as Daniel is concerned: it’s no problem. I would personally feel like a hypocrite if I justified that it’s OK for me to take money from problem gamblers, but it’s not OK for the casino to do the same. if it’s wrong it’s wrong, no matter who profits. As much as we’d like to separate poker from gambling, poker played for money IS gambling. There will be some winners, and a vast majority of losers. 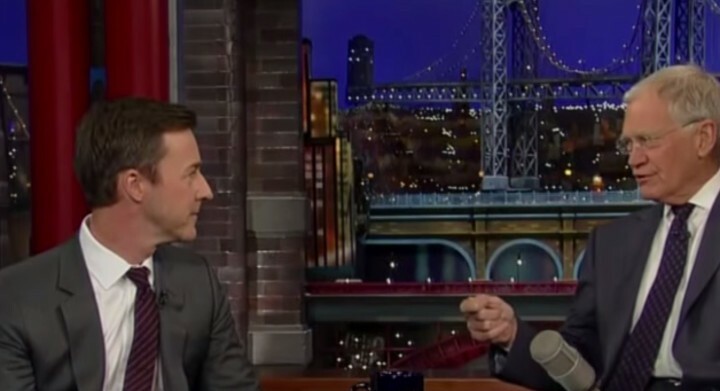 Daniel goes on to explain his life philosophy when it comes to gambling and acknowledges that his success is in large part due to the failure of others (at the poker table) and that when it comes to playing poker or any other type of gamble gamble – it’s a buyer beware world. Examples exist in society of people we may aspire to be that have beaten the odds and made it to the top of poker, sports betting, and the stock market. I don’t know of any such delusions when it comes to casino games. The math is quite simple, the more you play the more you are going to lose. You “could” win, and you will win occasionally, but the game is obviously rigged in such a way to ensure the house always wins in the end. In the end, while he respects Victoria’s decision to leave PokerStars, it doesn’t look like he’s having second thoughts. Check out Daniel’s outlook on PokerStars introduction of casino games as well as his views on all things gambling. Double Down on Daniel: Check out this recent in-depth interview with Daniel where he talks about…well, everything. It’s the holiday season! It’s a time where kids of all ages hope that someone of one religion or another will come into their homes and give them stuff that includes a gift receipt. Alex Dreyfus, Global Poker Index's head honcho in charge of “sportifying”, is one of these hopeful dreamers. This year, rather than ask for a sick pair of Beats By Dre, Dreyfus decided to publicly publish his inner most wants and reach out to the organization that has the potential to make wishes come true for the game of poker: AmayaStars. I wish for Pokerstars to not forget Poker in 2015. Your line was “Find the Poker Star in you”. Hopefully you’ll not forget to find the “Poker in you”. I wish for Pokerstars to remember that Poker is the foundation of the company, and sometime the time spent on diversification may eventually affect its grassroots, stopping the innovation and disruption thats needed to continue creating growth in your market. I wish for Pokerstars to realize that its rake increase will affect the lives of Poker Ambassadors, the Heroes. These are aspirational individuals for casual/ recreational players. I know that you take the best decisions that make sense for the company, for its shareholders, but I wish you to remember that the journey is long. Long term decisions will always pay better that short term ones. I wish for Pokerstars to acquire a Sportsbook (along with a strong casino) but do so without making the mistakes made by Party.Bwin and Betclic-Expekt-Everest. Please SantAmaya, remember what Mrs. Claus always said : Bigger is not always better. It looks like Alex, while stating he’s still a supporter of PokerStars, may have some concerns about the direction it is currently headed. Negreanu, Ivey and more round out the top 7. There’s no telling where Insider Monkey gets their facts or if they even have them. Regardless of whether it’s fact or fiction, the online financial site published an article listing out the “7 Richest Poker Players In The World” and there are some pretty surprising names on their list. Nowadays, children no longer dream only of becoming NBA, NFL or MLB players; they also fantasize about growing up to be the best and richest poker players in the world. Take for instance, number 7 – Annie Duke. It’s questionable if you can even call her a poker player anymore (in the professional sense of the term) but with a reported net worth of $8M she makes the list. Who else? While there are some names you’d expect, we doubt anyone could name Andrew Feldman (not the ESPN columnist) coming in 6th with $10M. They say that Daniel Negranu comes in at 5th with $15M and Full Tilt Poker mastermind Chris Ferguson captures 4th at $25M. 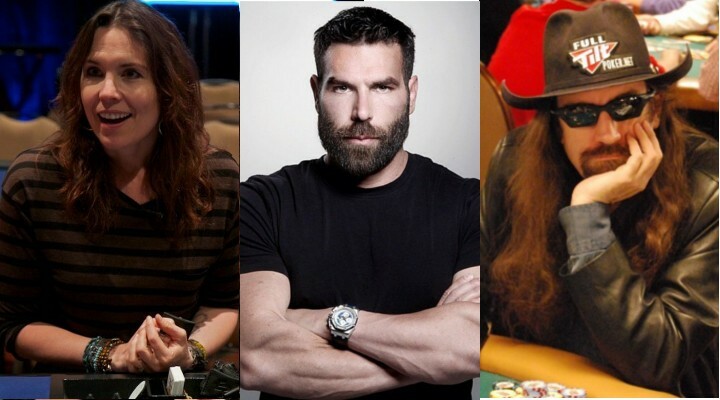 The top 3 all are tied with an estimated net worth of $100M and it’s a bizarre trio they’ve collected: Dan Bilzerian, Phil Ivey and… Sammy Farha. Could this be right?? This Lebanese-born American professional poker player has been dedicated full-time to the game he loves since 1990, when he quit his ordinary day job. Farha is best known as the runner-up in the World Series of Poker in 2003, when he was defeated by Chris Moneymaker. He has co-authored a book on Omaha poker strategy and is currently working on another book, a reality TV series and a video game. Do they know who Daniel Colman is? How about Dan Shak (if Bilzerian is a “poker player” Shak certainly would be)? Who knows? Take it or leave it – here’s the (supposed) 7 richest poker players on the planet. Back-to-back episodes of the Shark Cage for the beginning of your week. In this episode some of the hottest of hot shots battle on felt as Jason Mercier, Liv Boeree, Sam Grafton and Mike “Timex” McDonald star in the made-for-TV bluff-a-ton. So, before you fill out that TPS report, kick back and get caught up on all things Shark Cage. The Monday after a holiday weekend (in the USA) and it’s time to get back to work. But before you do, do yourself a favor and take some “me” time to watch Episode 5 of the shark infested sit-n-go that is The Shark Cage. World Series of Poker Champion Jonathan Duhamel is joined by tournament specialists Griffen Benger and Igor Kurganov as well as former professional athletes Fatima Moreira De Melo and Jeremy Roenick as they play down until only one person has won all the chip. So, tell your boss you’re busy and see how many players get sent to the cage.